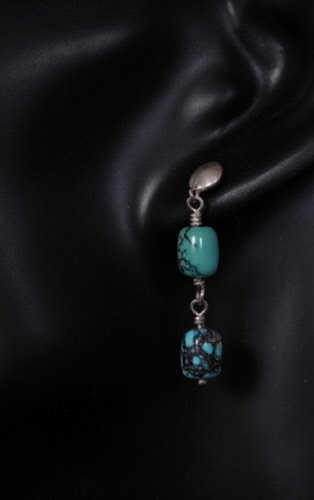 Small turquoise beads, linked together and dangle from a sterling silver post. 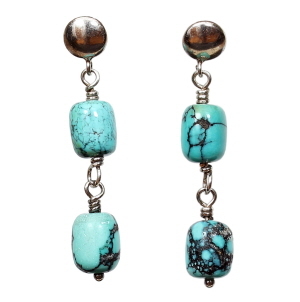 Light weight and causal design. 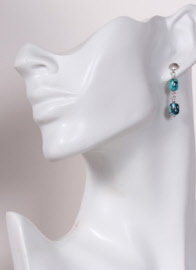 Earrings measure 1⅜ inch from post to bottom of dangle, ¼ inch wide. It is said that turquoise can strengthen the mind and bring about a feeling of serenity.